The Exhibition Excellence Awards have been designed to acknowledge the contribution of the Indian exhibition industry and recognise its true champions. Never before in the history, were the stars of Indian exhibitions recognised and felicitated. 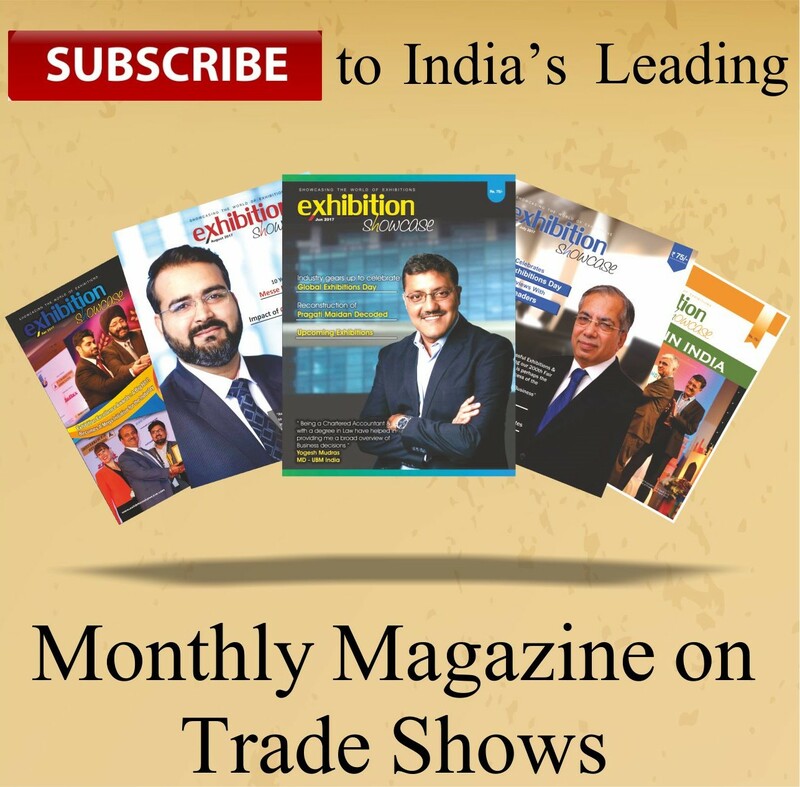 Brought to you by India’s leading magazine on trade shows, the Exhibition Excellence Awards have been successful in promoting the Indian exhibition industry at a global level. The Exhibition Excellence Awards (EEA) have now transpired into a mega initiative for the Indian exhibition industry. With a remarkable transition from its previous editions and many new changes in its format the EEA 2019 is going to be a glorious extravaganza like never before. The evening will be set illumined by the fire of Glory, Recognition & Celebrations. For the 1st time in its history, The Exhibition Excellence Awards 2019 are being supported by The Ministry of MSME, The Ministry of Tourism (Incredible India) & The Ministry of Skill Development & Entrepreneurship (Skill India). Besides this major bodies like NSIC, PHDCCI, EEMA, ICPB, IESA, AFECA and many more have also joined the campaign. Truly, this is heart warming both for the organizing committee and for the entire Indian exhibition industry. Besides, a very competent jury from diverse backgrounds have been set up to monitor the nominations. Globally renowned advisory firm KPMG has been appointed as the Process Advisers and Evaluators for the EEA 2019. The EEA 2019 will be publicized globally. A lot of media coverage is assured! So what are you waiting for. Its your time now to participate wholeheartedly and support this initiative for the industry. The criterion and parameters for a lot of categories have been revised so kindly read the forms carefully. For example, in The leading Shows Category, the judging parameters are now the number of exhibitors and net exhibition area in 2018. Do participate, a special report will be compiled to showcase the top contestants in each category.